Cancellations are permitted 14 or more business days prior to the start of the scheduled training course and a refund will be issued. A 3.5% administration charge is withheld and 96.5% of the fee will be refunded. Students who cancel their enrollment 7-13 business days prior to the start date will be charged 50% of the course fee. Students who cancel their enrollment less than 7 business days prior to the start date will be charged 100% of the course fee. 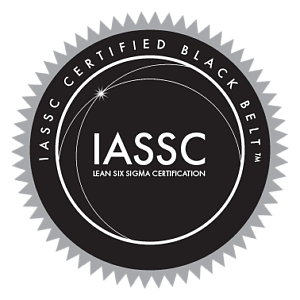 Students failing to attend a class without notifying Lean Six Sigma Training Ltd by email ( bookings@lean6sigmatraining.co.uk ) prior to the start date of the course will be considered a ‘no show’ and charged 100% of the course fee. It is the attendee’s responsibility to verify they have registered for the correct class for their needs and level of expertise. Students who want cannot attend a class on the scheduled date and give notice in writing email ( bookings@lean6sigmatraining.co.uk ) 7 or more business days prior to the start of the scheduled training course may attend any future equivalent class scheduled in the following 6 ( six ) months after the original scheduled date. Lean Six Sigma Training will provide an opportunity for the course once per month. If the student is not able to attend the class in the following 6 (six) months after the original scheduled date then they will will be charged 50% of the course fee. Once a student has paid and received confirmation then classes are not expected to ever be cancelled however in the event of an unfortunate accident, emergency or sickness of a trainer then classes may be subject to cancellation. If you are registered in a course that is cancelled, you will be notified with an offer to reschedule or receive a full refund. Attendees are advised not to purchase non-refundable or non-changeable airline tickets, as Lean Six Sigma Training Ltd. will not be responsible for payment of airline rescheduling charges due to class cancellations.